1. Memorial Walk Activity Booklet: Complete this activity by undertaking a 2-4 hour walk to visit a number of World War 1 memorials across the city of Adelaide and answer questions along the way. Beginning at the Light Horse Memorial on East Terrace, you will then walk along North Terrace to the National War Memorial, down Kintore Avenue to the Torrens Training Depot and along King William Street to the Cross of Sacrifice. Walk with your parents or grandparents, an adult friend or family member and share your knowledge as you walk. As part of this Learning Activity, you will discover and document the life and service of an Australian serviceman or woman and publish your work on the Virtual War Memorial website. You can complete a profile and a biography, add personal stories, upload images and even undertake an oral history interview with a living veteran if you wish. Does this sound like something you would like to do? This activity is suitable for students aged 12-18. Younger students will require significant parent supervision to complete this activity. We will then contact you with all of the information you need about your project and how to start your journey of discovery. The hours received are at the discretion of the in-school CUA Coordinator. Please provide your Coordinator with evidence of your research and ask them to edit and review the draft of your biography or profile before you send it to us to be uploaded. 3. Digital Storytelling Project: As part of this Learning Activity, we would like you to respond to an existing profile available on the Virtual War Memorial site and use the information provided in the service person’s profile to create a short digital story about their life (no more than 5 minutes in length). In addition to the information available on the VWMA site, you may wish to add newspaper reports that you have accessed using TROVE, images from the State Library of SA or other online collections, images of material objects or memorabilia belonging to the service person, suitable background music and a voice-over. Older students may wish to combine activity 2 and activity 3. In this case, you can use the information that you have gathered to complete your online profile of a service person in order to create your digital story. You may even wish to combine all three activities by using a name you have located on a memorial as part of your walk as the focus of your research for activity 2 and 3. You can use MovieMaker, PowerPoint, PhotoStory or another digital storytelling app of your choice to create your digital story. The hours received are at the discretion of the in-school CUA Coordinator. 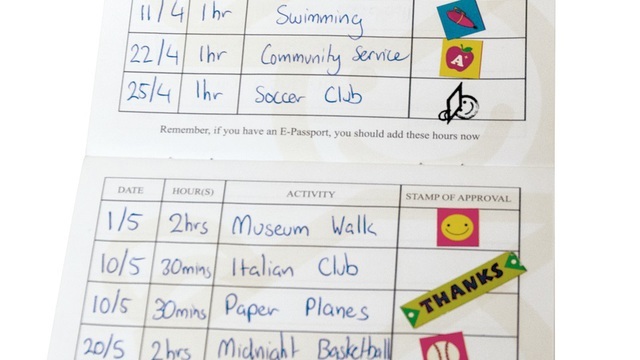 Please provide evidence of your completed digital story and any planning, story-board or notes you made to your school CUA Coordinator for your stamp. This activity is available to any age group. "Children’s University Australia is an international partner of Children’s University Trust (UK) and managed by the University of Adelaide, South Australia. Children’s University is child led, meaning that children choose what activities they would like to participate in, and participation occurs on a voluntary basis. “You can learn anywhere.. not just in a classroom and you can learn from all sorts of people in all sorts of situations,” The Honourable Lea Stevens, Northern Connections."